Fal Allen started brewing professionally in 1988 for Redhook Brewery in Seattle, Wash. In 1990, he moved to Pike Place Brewery where he was the head brewer for eight years. In 1999, he was awarded the Brewers Association's Russell Schehrer Award for Innovation and Achievement in Craft Brewing. He took over as the general manager at Anderson Valley Brewing Company in Northern California in 2000. Starting in 2005 he did a five year stint as brewmaster for Archipelago Brewing (a division of Asia Pacific Breweries) in Singapore, before returning to Anderson Valley as Brewmaster in 2010. 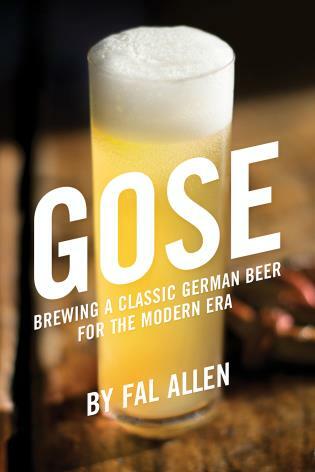 Allen's writing credits include Gose, co-authoring Barley Wine, a four-part series on Microbiology and lab work in Brewing Techniques and more than 40 articles in American Brewer, The New Brewer, Zymurgy, MBAA Technical Quarterly, Celebrator, Malt Advocate, and other publications. Allen resides in Navarro, California.